Warrior Legend Manga Universe: Time for a update, Vista soldier and more! 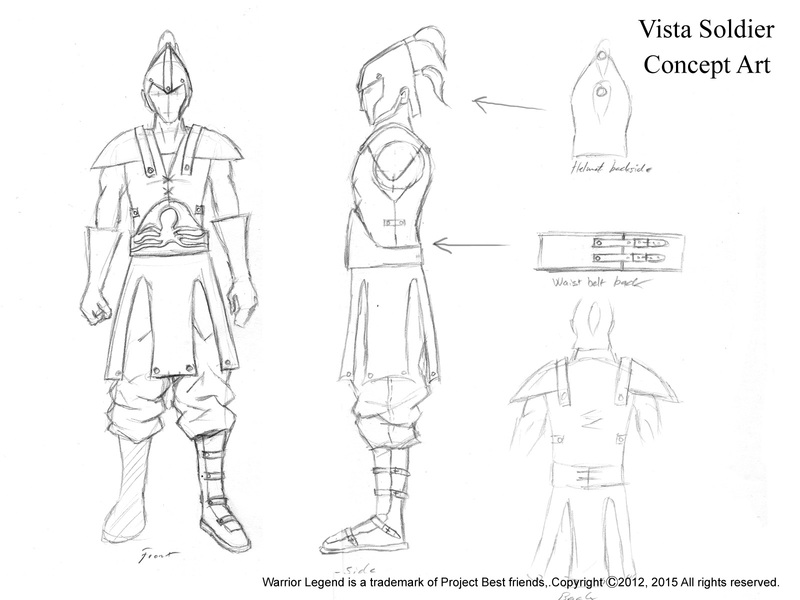 Time for a update, Vista soldier and more! Well this far, it haven't been much updating, like I mention last, all the manga production is very time consuming. For WL and the Chapter III part, there is still a lot of work in progress. Part 1 is actually finished, but I'm not going to release it before more other work is done, so that it can be all be released in short time together. I also mentioned earlier that I would have a release date for Chapter III in October, well, what I try to manage is to launch in November, but I don't think it will be before the 3rd week that month, so in about a month from today! During the progress concept has to be made as well, there is always cool to see some works for upcoming stuff, personally I like that! 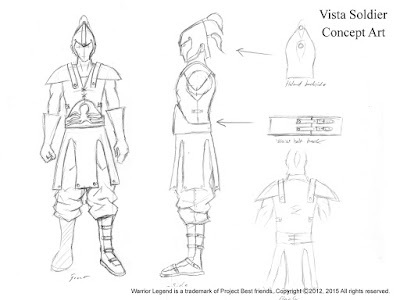 Here is the concept art for Vista soldier uniform. 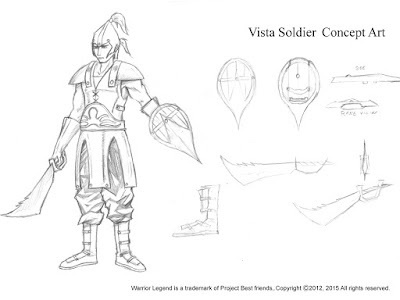 "Vista soldier uniform with weaponry"
"3D design of Vista soldier outfit"